That time is upon us! Welcome to Q4! I know. If you’ve been following this blog, you already know what Q4 means. It is the time where we ramp up, send in as much of the stuff we’ve been finding over the past 9 months, and hope we sell before Amazon’s crazy storage fees kick in! Amazon hasn’t released this year’s dates, but using 2015 as a guide, you’ll want to make sure that your inventory arrives at Amazon by or before 9 November in order to be in stock for Black Friday and Cyber Monday.. Last year it was 11 November, but this year Thanksgiving is 2 days earlier. You’ll want to make sure your inventory for delivery by Christmas is in by 2 December to be safe. As a reminder, effective November 1, 2016, we will require sellers to provide box content information for each box sent to Amazon. By providing box content information, your products move through our fulfillment network more efficiently and become available for sale sooner. If you choose not to provide this information, Amazon will need to process your box contents manually for a fee of $0.15 per unit in November and December. The fee will be $0.10 per unit for January through October. If you provide box content information, you will not be charged this fee. For more information, refer to our help page and training video for box content information. This is less than fun, especially as we all ramp up for the business time of the year, but the fact remains, Amazon has taken their time in implementing this. Hopefully by November 1st, we’re all comfortable with it, and are not incurring a $0.15 per unit fee. 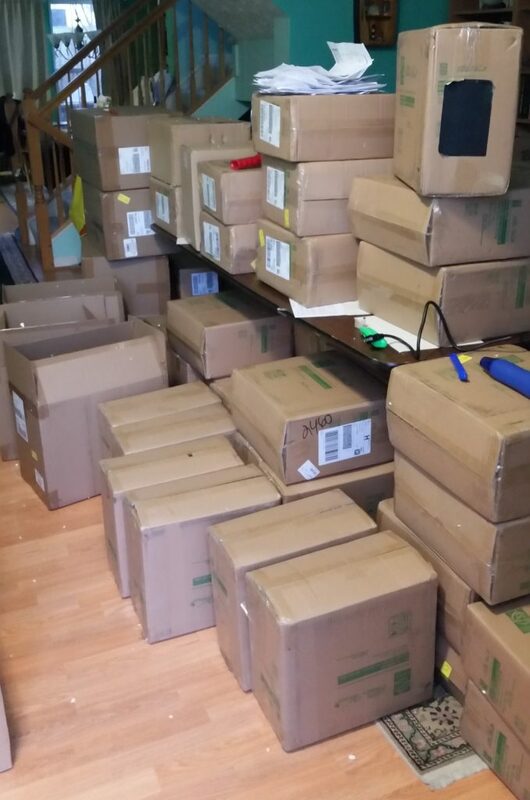 We are entering the busiest time of the year for resellers. Of course, this should also be the most lucrative time of the year for most resellers. It will be an exciting few months! What are you doing to prepare for Q4, and how will you be maximizing the next two months? I sent a shipment in last week and they have already implemented the box-level requirement, at least for my account. I tried to not do it and it showed the per-unit charges. No problem if you’re sending a ton of one SKU, but if you’re sending in 30+ SKUs which differing amounts per box it’s a PITA. If they let us use a handheld scanner to scan items while putting into boxes it could auto-generate box contents. But they’d rather shift the burden onto sellers as usual. And it’s no faster either; they took 4 days before they started receiving my stuff, and half the items aren’t even showing up as received even though they do say the shipment was received in full. I’d check your account, I don’t think you were charged the fee. The fee has come up the last few shipments just to warm me how much it will cost in November. I was only sending in 1 box so box-level wasn’t required.